These houses, apartment buildings and commercial structures weren’t built as they are because the owners really loved the view or particularly wanted a five-foot-wide house just inches from the neighboring building. They came into being out of pure spite, or gleeful revenge, or the desire to seriously annoy adjacent property owners and city planners. Here are 12 amazingly spiteful structures, starting with a very recent example that riled up members of a certain infamously hateful church. 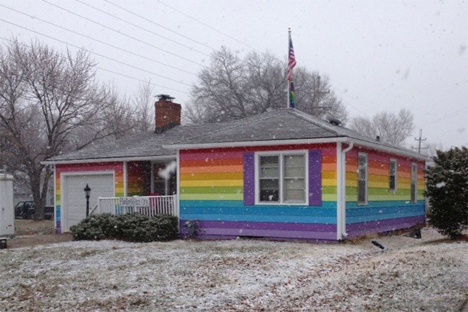 A house across the street from the Westboro Baptist Church compound is now one big gay pride flag thanks to a man whose nonprofit group Planting Peace purchased the home and painted it in rainbow colors. That’s probably not exactly a welcome sight for members of the church, who are known for their virulently anti-gay views and for picketing military funerals. 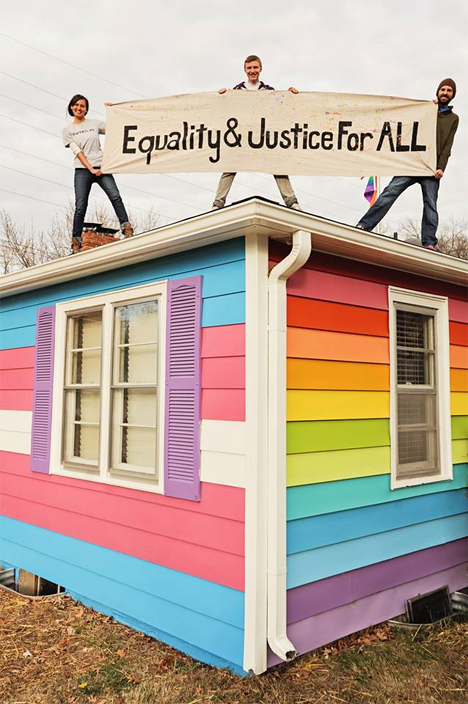 Five local Kansas City painters declined to participate in the job after learning what Jackson had in mind, but ‘Equality House‘ was finally completed and unveiled in March 2013. The house got lots of attention for the right reasons, but of course, the church had a typical response to it: “We thank God for Sodomite Rainbow House!” they said in an email to TIME, claiming it helps bring attention to their message. 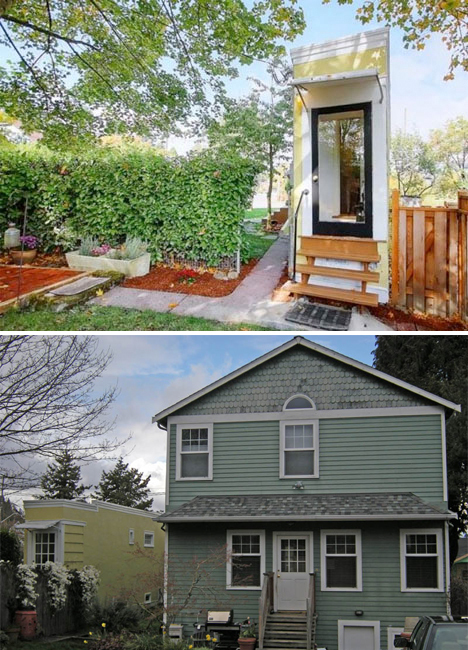 Measuring just 55 inches across its narrowest point, this wacky pie-shaped house was reputedly built to cut off a larger home from the street. According to local legend, a neighbor approached the owner of the land to purchase the plot in 1925, but at an insultingly low price, spurring the owner to build the ‘Montlake Spite House‘ in retaliation. Another story claims that the house was built when the wife of the owner was given the tiny, awkardly-shaped lot in the divorce settlement, while her ex got the rest of the property. The most recent homeowner has said that for the most part, the narrow profile of the house wasn’t a problem, except when she was cooking: she had to stand to one side to open the oven door to avoid pinning herself to the wall. The house recently sold for almost $400K. 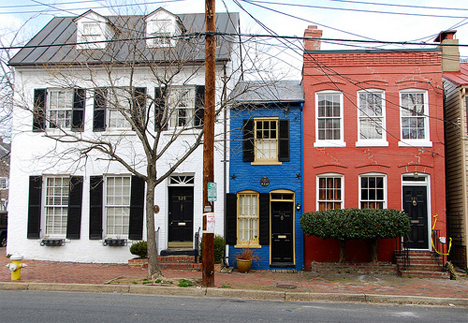 John Hollensbury, the owner of the white and red houses pictured, was sick of loiterers hanging out in the alley. 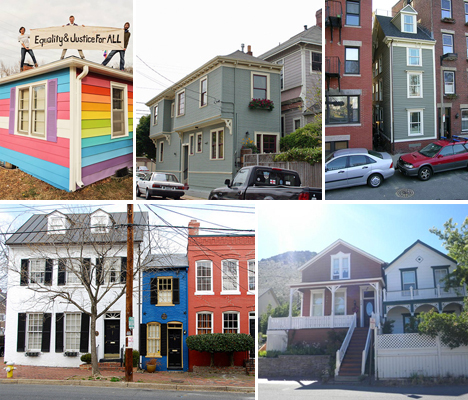 So he built the Hollensbury Spite House, a 7-foot-wide, 25-foot-deep dwelling in the Old Town district in Alexandria, Virginia. The house’s two main walls are the brick walls of the adjacent structures, making it more of an enclosed alleyway than an actual house, but it has been used as a residence ever since. 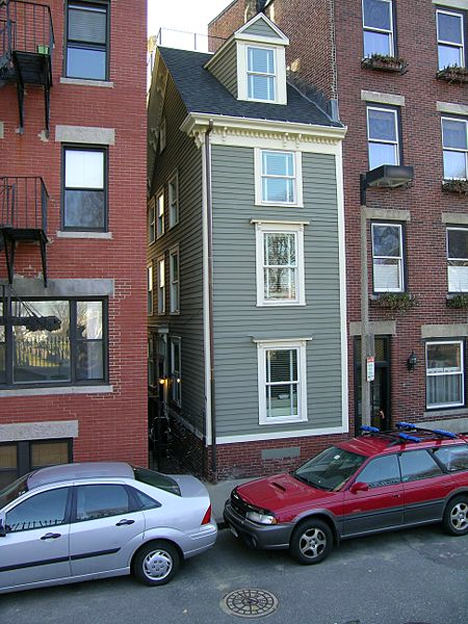 Boston’s narrowest house measures just 10.5 feet across at its widest point, with the smaller portions about 6.5 feet wide, and can only be entered through a small alley. The four-level house was built shortly after the Civil War when two brothers inherited land from their deceased father. The legend claims that while one brother went away to serve in the war, the other built a large home, leaving the soldier little more than an alleyway. So when he returned, the soldier built the narrow house to ruin his brother’s view and cut off air and sunlight to the larger home.